PM Realty is proudly offering this well-presented and spacious two-bedroom apartment. Only moments to Mascot Station and buses, your new home is a short commute to Sydney Airport, universities, beaches, shops and cafes. Finger on the pulse and quick to action all requests. This agency provides an exceptionl service. 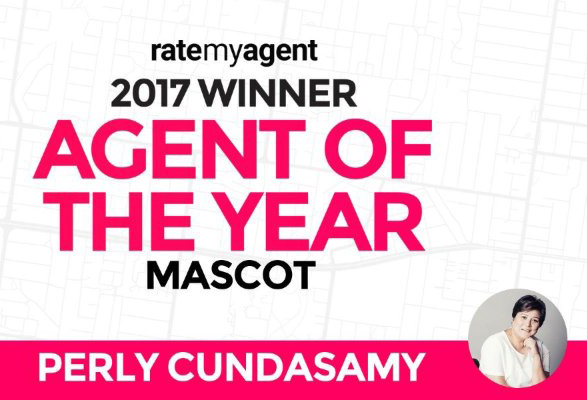 On the day I visited Mascot to meet up with 4 Realtors I instantly felt that Perly Cundasamy stood out from the rest as being an honest, experienced and a knowledgeable person of the Mascot real estate market. We signed up quickly and from the first day of listing Perly worked hard to ensure we were given the best services possible. The market late September through to November 2018 started to slow down across NSW and Victoria making the job extra challenging. Perly kept focus, believed in our Property and we were extremely pleased that Perly sourced a Purchaser for us and we exchanged contracts this week. I would have no hesitation in recommending Perly to anyone seeking a high performing Real Estate Agent. Exceptional service is an understatement! Perly’s vast knowledge of the market combined with her lovely personality made the whole experience of buying our property stress free. At no time did we feel we were dealing with an agent rather, Perly came across as a friend who genuinely had our interests at heart. We are first home buyers and Perly made sure the whole process went through smoothly. She always kept us up to date with what was required and had infinite patience to answer all our queries. We have dealt with a lot of real estate agents but have yet to come across someone who is not only a thorough professional, but is warm and caring too. I can’t recommend Perly highly enough! Thank you Perly- it’s truly been a joy knowing you and having you handle our property requirement. Wonderful character! Perly was excellent to work with and had an open and honest interaction during inspections and negotiations. Quintessential Agent Upon meeting with Perly Cundasamy her warmth and friendliness was evident which instantly made us feel at ease. Once she started explaining to us about the market and the surrounding area we felt reassured that Perly was the one we wanted to sell our apartment. She was very professional and explicit in explaining the market and what we required to attain the best possible sale. Well Perly was able to negotiate and sell our apartment within a week with a brilliant outcome and we highly recommend PM Realty & staff. Thank you Perly, hence the Quintessential Real Estate Agent. Perly knows Mascot very well. She is a nice person, very patient, knowledgeable and flexible. I already recommended her to one of my friend. It was so nice to talk to Perly about our apartment renting. She is very experience with Mascot Suburb. I would like to introduce Perly to all my friend if they wish to renting or sell their apartment. Thanks so much Perly. Perly, I would like to thank you and your team for the professionalism, care and personal attention in your dealings with me for the sale of my apartment . I would definitely recommend you and/or PM Realty to anyone that expects a company to have market knowledge and know how and provide excellent service. I am greatly appreciative for you and your staff's assistance. An Enjoyable ExperiencePerly and her team have been very helpful and professional in our purchase of the off-the-plan townhouse in Sutherland. She is very attentive to our enquiries and concerns. We are very happy with the experience and looking forward to the new house. Perly is a fantastic and experienced agent. She was very flexible with times from the beginning and was very pleasant and personable to deal with while remaining professional at all times. Perly is an honest agent with a consultative approach. I did not feel like I was being pressured into anything time wise or decision wise. She was very knowledgable and informative about the real estate market especially in Mascot and I felt that shr genuinely cared for her clients. I would not hesitate to recommend Perly to any potential home buyers or renters out there. Very HappyWe brought off the plan in Sutherland and have been dealing with Perly from P.M realty, she has been fantastic to deal with so far , very professional .helpful and always in touch to ensure we are kept in the loop. Very Good Service Friendly and good team. Very responsive and timely with feedback and documentation. Pleasant and inviting office environment. Staff are willing to go the extra mile. Thank you so much, really appreciate all your efforts. Keep up your Super Work. Professional with a friendly attitude Working with Perly Cundasamy and PM Realty has been a great pleasure, they have been a facilitator in pursuing my dream of buying a property, with all their market knowledge and flair. They have a friendly attitude when dealing with clients but always act professionally. Friendly and professional Agent Thank you to Perly for selling my apartment. It was a pleasure working with her. She has been very helpful and supportive throughout the process. Very professional and friendliest agent we've ever met. I would definitely recommend her to anyone who is selling or buying property. My experience with PM RealtyWhat a great group of professionals. I do recommend them without hesitation. If you want as vendor quick results PM Realty should be on top of your list. Hard working honest pleasant bunch of people. I am very pleased with the work done by Perly and team member at PM Realty. They were true professionals, quick to respond, and very helpful & dedicated. Your support team is fantastic. I have just recently given my business to PM Realty at Mascot. Happy to say everything was done with minimum of fuss, and my apartment was rented out within a week. The whole staffs there works as a team and keep you informed all the way through the procedure, ensuring both the tenants and myself were happy with the end result. So far I have been impressed with their service and attention to detail. I have no hesitation in recommending PM Realty to any prospective owners or tenants should and when they require there services. As the Principal of PM Realty, Perly left me an extreme positive impression at our first meeting. Since then I had multiple experiences with PM Realty. I have received excellent services from Perly, Amanda, Liza and all other members of her team. Perly has strong knowledge of real estates and greatly understands the property market. She knows Mascot very well as she has been highly recognized by the locals as most successful real estate agent. Personally I believe Perly's success is not only because of her professional service but also because of her personal charm. Her strong ability of understanding of people and hands-on active role during the processing of each deal enables her clients to receive most efficient services. Perly and her team definitely have my trust. Should any occasion arise I would like to engage with them again and I strongly recommend Perly as your agent for all your real estate needs. It's been of great comfort to work with Perly and PM Realty. You have always shown care and professionalism. My concerns are always promptly addressed with relevant information. Thank you and it's been a pleasure having you looking after our property. "Perly was knowledgeable and professional throughout the whole selling process and I am pleased with the outcome. She is transparent with feedback and talks in a very direct manner which I appreciate. I would recommend her to other vendors and would use her services again for other properties." Meeting Perly and the team at PM Realty has given me a sense of calm about renting out my property. I've been given personalised service and shown how much they care with their prompt attention and response to my enquiries. They found a suitable tenant for my property quickly and have guided me with their professionalism and have been great with their admin and attention to detail. I definitely don't feel like 'just another number' with their agency and this is unexpected and refreshing compared to other larger franchise agencies. Thank you to PM Realty for such great service. Most Reliable Agent I ever Deal With Our experience was far beyond our expectations. At all times we felt negotiations were clear and transparent. That ultimately led to a sale price which has resulted in both a happy vendor and purchaser alike. We would be happy to recommend Perly to friends and family when considering any real estate transaction. I was absolutely amazed by the service I received from PM Realty Mascot. I called Perly on a Wednesday and by the Friday she had potential buyers already viewing my property; I had an outstanding offer by Monday afternoon. The contracts were exchanged at the end of that week. I have never experienced the pleasure of such an efficient and professional service before. Perly new her clients so well she knew who the property would suit and they were ready to buy. Perly ensured that I was updated on the process at all times, she was such a pleasure to deal with, she made what is usually a lengthy and stressful process feel like a walk in the park I simply cannot thank her enough! Right from the start Perly and the PM Realty team worked hard to ensure my property was effectively marketed and sold quickly. This was not a straight forward sale process and Perly went above and beyond the call of duty to get the unit on the market as soon as possible dealing with the constant and often frustrating demands of the trustee. In the meantime Perly was always on hand to answer my queries and advise me on the best way to present the unit. The property was sold within 3 weeks of being put on the market at a price above the independent valuation. I would not hesitate to recommend PM realty and I have complete confidence that anyone who deals with them will be very happy with the service and the result. Personal touch from start to finish I used Perly at PM Realty to purchase an apartment 2015. She was an excellent communicator, keeping us informed at each stage of the process from helping us assess the options available on the market to ensuring a smooth settlement process. She made what's normally a very stressful period as smooth as possible, making sure I was comfortable and understood what was happening at every step. She was transparent and realistic with me about what my options were. Such a lovely person to work with. An unexpected way to make a good friend We were on the market to buy our ideal home for a number of years and had already been stung by dishonest and two-faced agents more than once. We rate meeting Perly and getting to know her as one of our most fortunate life experiences. She worked with us every step of the way through the stressful stages of securing the purchase. She is always polite, punctual, calm, reassuring and most helpful in negotiating with the vendor. Her efforts to understand and achieve our needs and requirements truly exceeded our expectations. She has the market pulse under her fingertips and her advise is informed by her vast knowledge and experience. Perly has a positive and helpful personality. She is dedicated and energetic in resolving any issues that is often a part and parcel of any real estate purchase. To us, Perly is a lot more than a reliable estate agent-she is a dependable friend for life. We have been very pleased with her agency and thoroughly recommend her to any prospective property buyer. Perly will not disappoint. A very committed, devoted and motivated agent, providing a professional service to customers in a timely manner. We bought a property last year and decided to contact PM Realty to look after it, as we have been renting it out at this stage. From the first contact, we had a very good feeling about this agency. The very first meeting in the office was friendly but professional. We found all staff very helpful and knowledgeable. In our opinion, PM Realty used the right strategy when looking for tenant. They put forward recommendation for rent and selected tenant and with our approval, tenant moved in within 2 weeks since the apartment was advertised for renting. PM Realty provides regular inspections of the apartment and we get invitation to attend. We do not feel, we need to inspect the apartment, as we have a full confidence in staff of PM Realty. Rent from our apartment is organised by agency, we receive payment directly into our bank account and also statement on a regular basis. Recently, we decided to install air conditioner in the apartment, we contacted PM Realty, provided them with name of the company we selected for quote. PM Realty organised contact between tenant and air con representative, we received a quote within a week and next week, the air con will be installed. At the same time, we made agreement regarding payment. PM Realty always responses to any question within a short time frame. We can safely say, PM Realty as reliable, helpful, professional and accurate. We recommend this agency to anyone. If someone wants to experience peace of mind and enjoy the good work of a professional team, it will be hard out do PM Realty. If there is a word for it, I think I will call it professional extraordinaire! Perly is the one Perly is the lady you would love to buy and sell your properties with her and is the Agent you are very happy to recommend to all your friends and family with property needs. Amazing Perly! I found Perly truly amazing. She knows her field of expertise; expresses herself confidently; what she tells you is always the truth; she has a very convincing way of negotiating; and is like your best friend and a joy to deal with. Perly has been very valuable to us. She takes care our rental property needs and made our worries go away. We appreciate all the suggestions, updates and reassurance no matter where we are. We were overseas and the communication didn't stop at all. We're happy to say we made the right the decision to engage Perly and her team as our rental property agent. I am happy to use Perly's service since she is professional, proactive and really listening to the need of her clients. All the best to your business expansion. "Perly is very professional, honest and respectful. We received nothing less but great service. She constantly communicated with us at every stage. I am completely satisfied with her level of service and responsiveness. Thank you for everything Perly, it's been pleasant dealing with you. Looking forward to moving into our new home."